The Alaska Board of Game adopted new regulations that went into effect in September 2007. The regulations were designed to protect Alaska’s people and wildlife by preventing the spread of rats into the rat-free parts of Alaska and controlling rats where they are already established. Review the regulations and learn about what must be done to keep vessels, vehicles and planes rat-free. These regulations will affect boats in Alaskan waters with rats aboard, trucks or any other moving vehicle with rats aboard, harbors or other facilities with rats, anyone whose garbage is feeding rats or mice. Requires that the owner or operator of a harbor, port, airport, or food processing facility in which live rats or mice have been found develop and implement an ongoing rodent response and eradication or control plan. It’s in the best interests of Alaska to prevent rats and eliminate them wherever they occur. Working together, Alaskans can prevent the spread of rats and help eliminate them from where they are already established. Make every effort to stop rodents from stowing away with you. And never release them alive or throw them overboard. They’re good swimmers and may reach land – or another vessel. A new manual full of how-to advice on controlling or preventing rats on the waterfront is now available to help harbors and waterfront facilities get in compliance with the new regulation and protect their infrastructure and clients. The Sea Grant Marine Advisory Program under contract to the Alaska Department of Fish & Game produced “Rat Control for Alaska Waterfront Facilities”. To download the manual or order a free copy click here. Some communities were out ahead of the state law and already had restrictive ordinances in place. In Anchorage, it is illegal to possess any rats other than lab rats and they must be under permit to the City. In the Pribilof Islands, the towns of St. Paul and St. George both passed ordinances requiring rat prevention measures in seafood processing facilities and banning boats with rats aboard from entering city waters or tying up at the city dock. These cities have the right to board boats looking for rats and eject ratty boats from their harbors. Pet Rats? Not in Alaska! Any kind of pet rat is illegal in Anchorage and all but genuine albino, white rats are illegal elsewhere in the state. Alaska takes a tough approach on pet rats because it is the only state without a large rat problem. Today’s pet can be tomorrow’s escapee or, worse yet, released to the wild by unknowing or uncaring owners. Pet rats have recently been released in Kasilof, Clam Gulch, Homer and Anchorage. Pet rats are the same species, Rattus norvegicus, as wild rats. It would be foolish to assume they could not survive and breed outdoors. 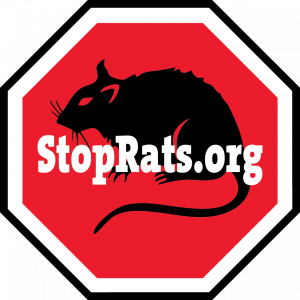 Illegal selling, breeding or keeping of pet rats or any rat sightings should be reported.